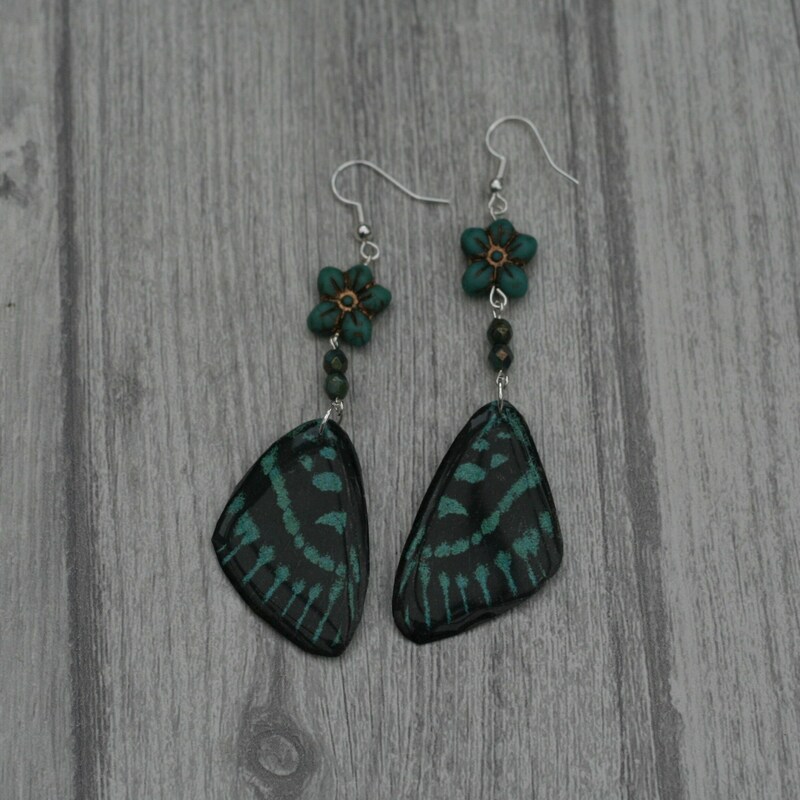 Green Butterfly Wing Earrings. These earrings have been made by adding green lampwork beads to resin butterfly wings (they look real, I promise they're not). Silver plated ear wires have been added to complete the earrings. • Each earring hangs approximately 1.5" (4cm). • All earrings come packaged securely and will be mailed in a bubble envelope.